The Los Angeles Dodgers have been playing their best baseball of the season in recent weeks, and that was epitomized on Tuesday night when they exploded for 16 hits to defeat the Texas Rangers, 12-5, in the series opener at Dodger Stadium. The scoring got started in the second inning when Yasiel Puig hit a double high off the wall in left field to drive in Cody Bellinger. Puig missed hitting a home run by just a few inches, but he later atoned for that. Joc Pederson was able to get one over the fence following Puig, hitting a line drive that skipped off the top of the wall in right-center field and into the pavilion. Pederson also had two doubles in the game, raising his season batting line to .287/.356/.567. His seven home runs in the month are the most in all of baseball. Just behind him in that category is Max Muncy, who kept pace with Pederson by hitting a solo shot off Rangers starter Bartolo Colon with one out in the third. 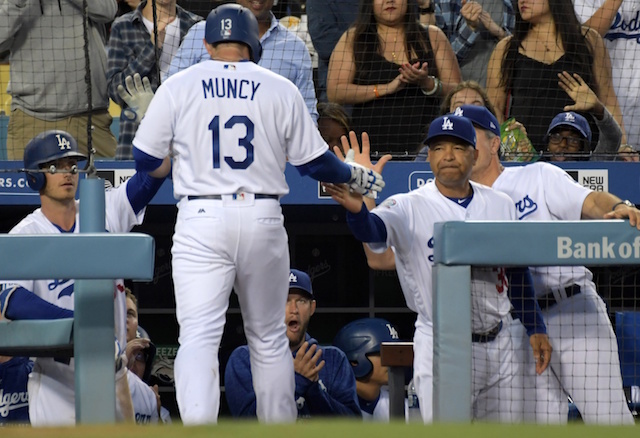 The homer was Muncy’s sixth in the month of June, and 13th overall on the season which leads the team. 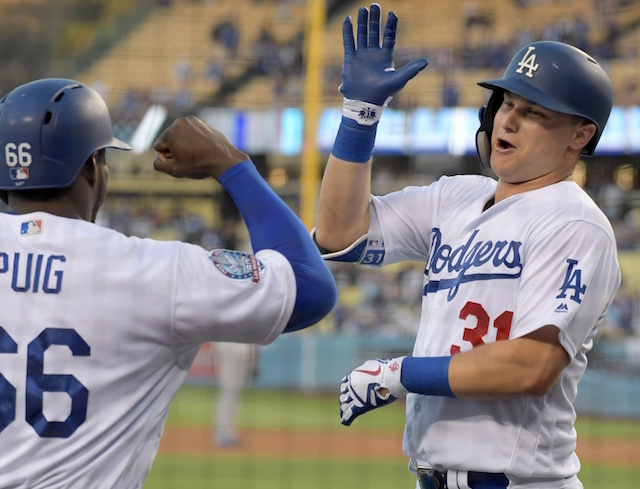 The Dodgers added seven more runs in the fourth inning and the rout was on. The big hit came off Puig’s bat as he cleared the fence for a two-run homer. Seven of the eight Dodgers hitters that started the game had at least two hits . The only player who didn’t was Matt Kemp, who still walked and scored a run and is batting .333 on the season. There was a first for the Dodgers in the win as reliever Daniel Corcino tossed the final three innings to earn his first career Major League save. He gave up two hits and two runs (one earned) to complete the first three-inning save for the Dodgers this season.